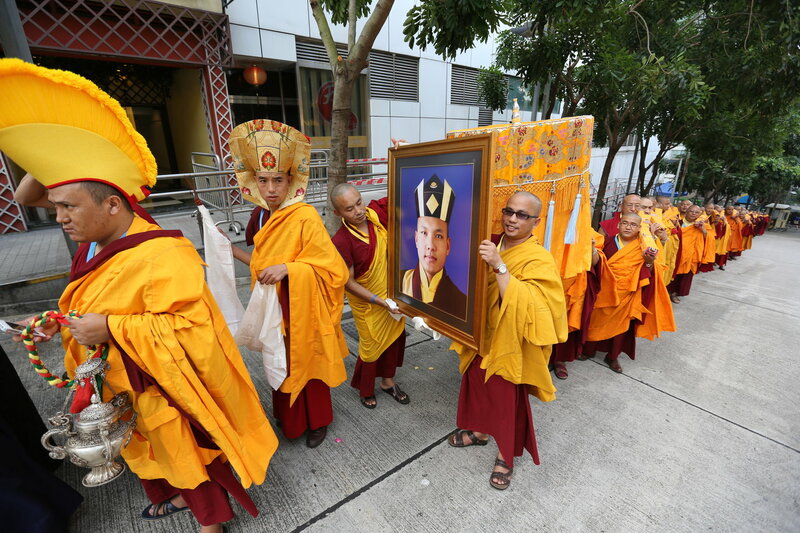 With the blessings of Buddha and Kamtsang lineage, the Eighth Hong Kong Kagyu Monlam was successfully held for 3 days from Oct 5th to 7th, 2012. 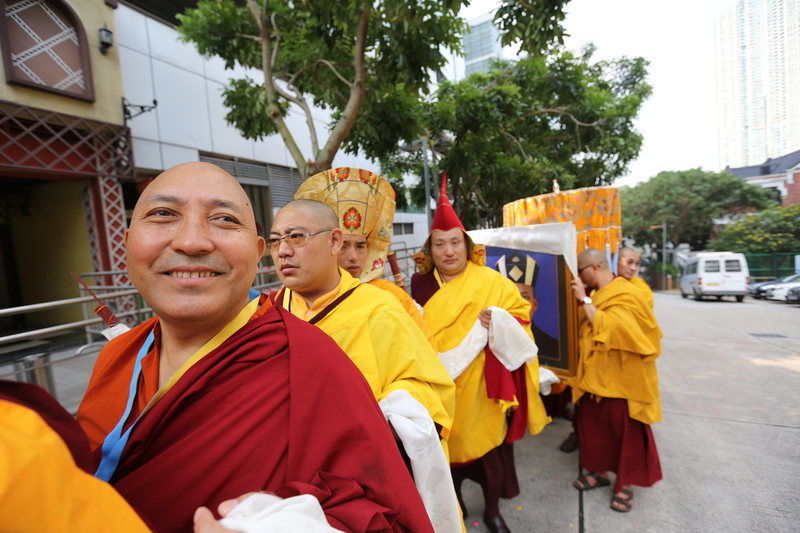 We had the honor of having His Eminence Je Dzhung Rinpoche leading the Hong Kong Monlam. 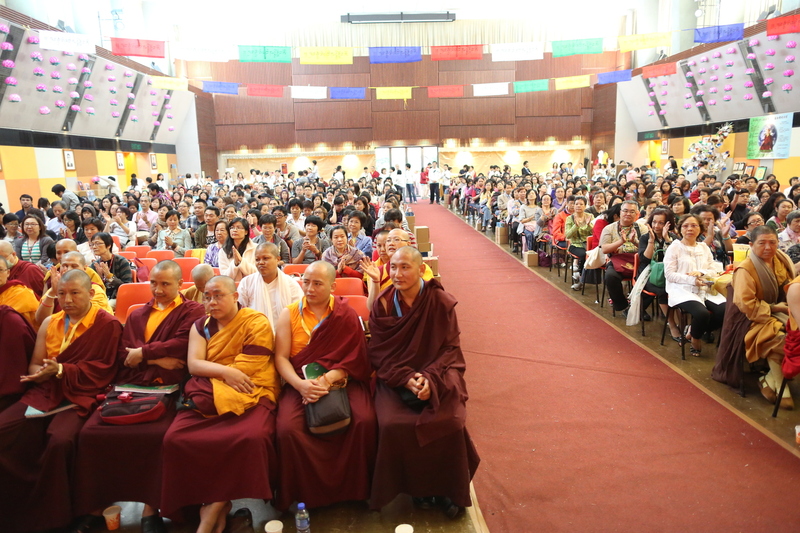 Also, Thekchok Rinpoche and Sonam Rinpoche joined this year’s Hong Kong Monlam. 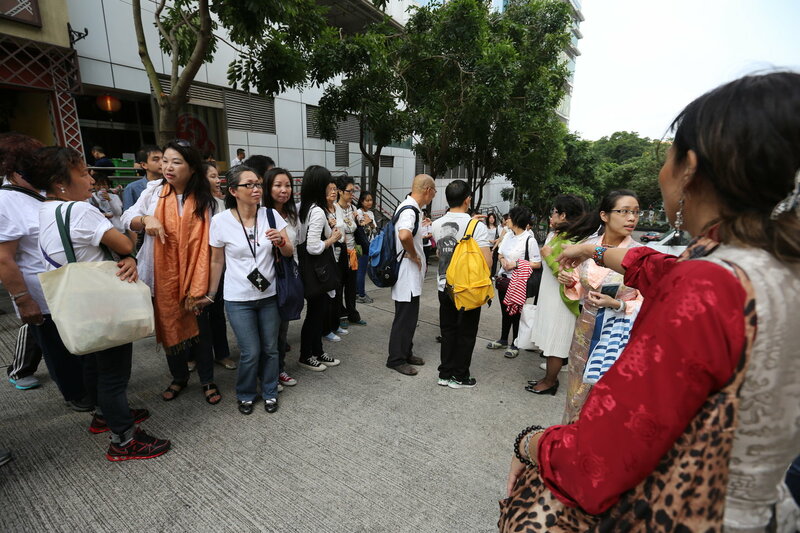 To follow His Holiness Karmapa’s footsteps on environmental protection and awareness, Hong Kong Monlam has added an environmental theme – “Love our World, Protect all Sentient Beings” and wishes to arouse the participants’ awareness on environmental issues. In order to echo this new environmental theme, the event has opened an environment/art booth featuring a recycled plastic bottle Bodhi tree and His Holiness short video on Khoryug (a website on environmental awareness). Disciples wrote their wishes on paper Bodhi leaves and hung them onto the tree. These paper leaves, which had already been blessed by His Holiness Karmapa, will be placed underneath the Bodhi tree in December’s Kagyu Monlam in Bodhigaya and we will pray that all these wishes will be fulfilled. A tree planting program is initiated and a substantial amount of sponsorship had been received from generous disciples. Trees will be planted in Zumang Monastery, Chinghai next March. 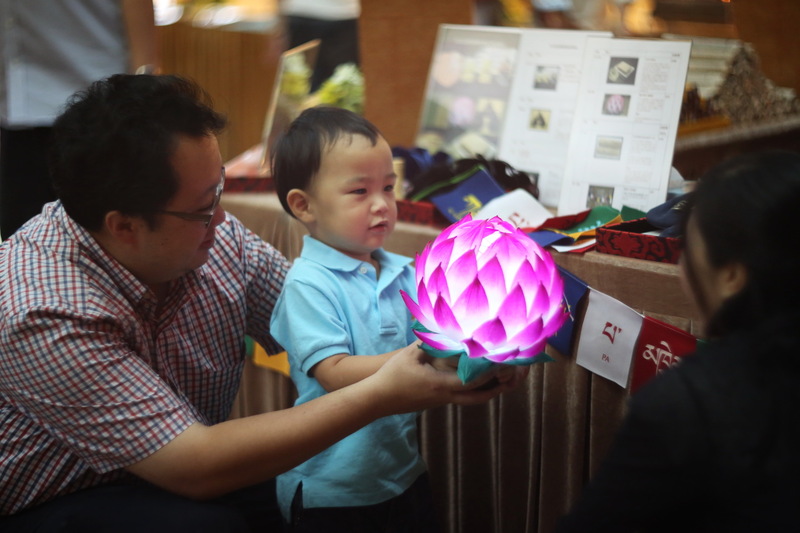 A “1000 hand-made lotus lamps” project was introduced. Volunteers helped to hand make 1000 lamps and the lamps were completed in less than 3 weeks. The whole idea is that the traditional butter lamps or candles are replaced with this lotus lamp. Thus, garbage left from the butter lamps will be reduced. In addition, this lamp can be kept as a memorial item for a long time. 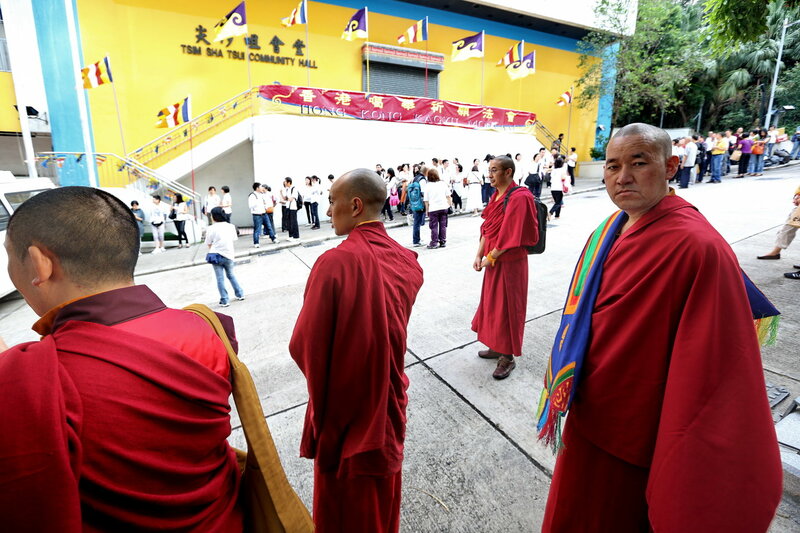 This year’s Hong Kong Monlam was attended by 3 rinpoches, 3 khenpos, 120 lamas and Mahayana monks and nuns. 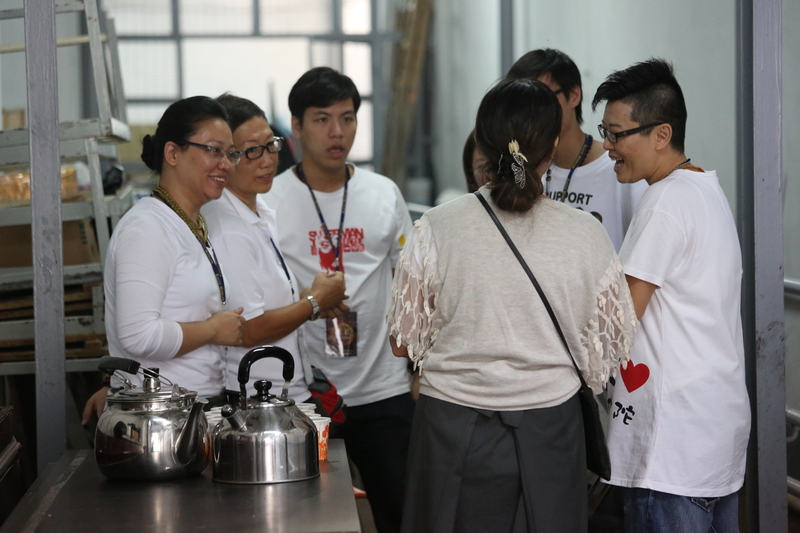 Over 100 dedicated and hard working volunteers joined to help out in the event. Attendance reached more than 800 disciples on the 3rd day. 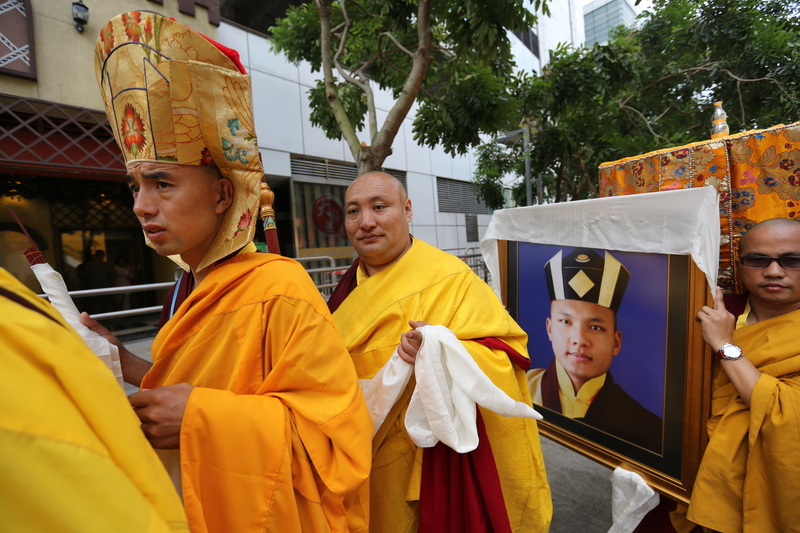 The procession began at 9 am on the first day, during which Sangha members carried a photo of His Holiness the 17th Gyalwang Karmapa, followed by 8 flower offering ladies and the Kangyur and Alms procession. 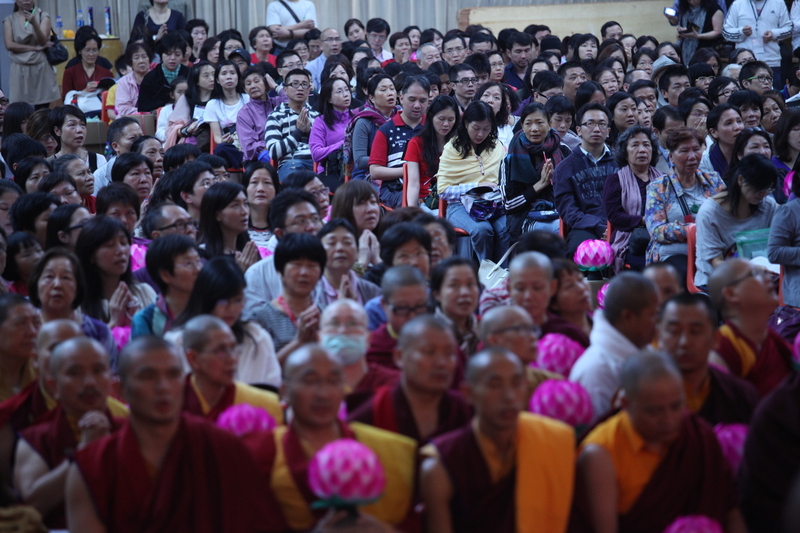 The puja began with Sojong Vows (the eight precepts), followed by chanting of aspiration prayers. 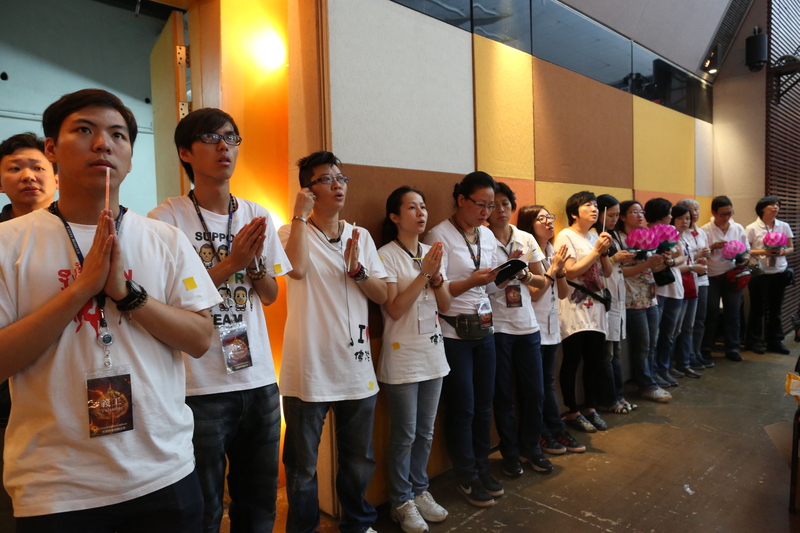 The Twenty-Branch, The King of Aspirations and other prayers were chanted throughout the day. 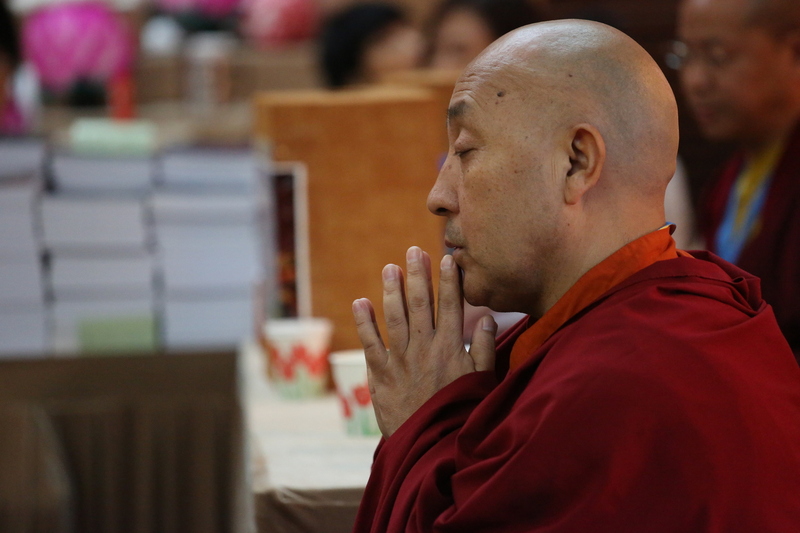 His Eminence Je Dzhung Rinpoche gave a teaching on King of Aspirations Prayers for two consecutive nights. The Monlam’s first day closed with reciting dedication verses. 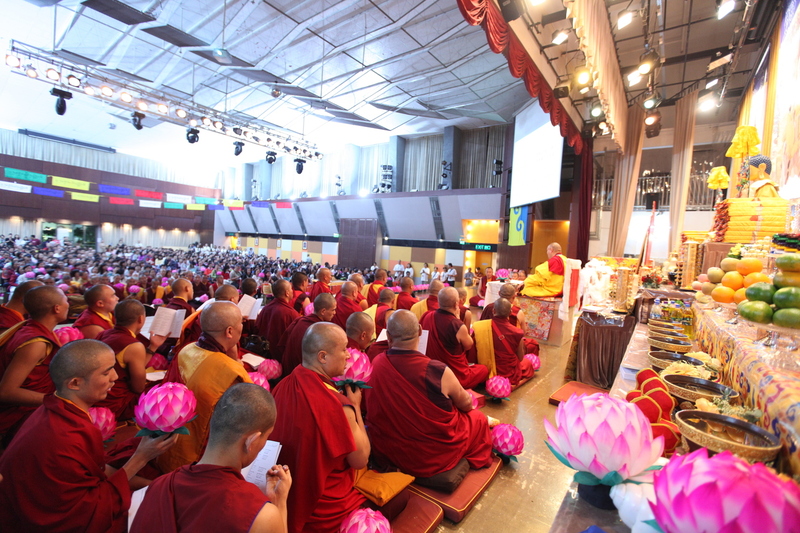 On the second day, Monlam began at 9 am and participants took Sojong vows and chanted aspiration prayer and twenty branch monlam prayers throughout the day. Before and during the Monlam, the organizers collected donations to make prayers for the deceased and those living who are in great difficulty. 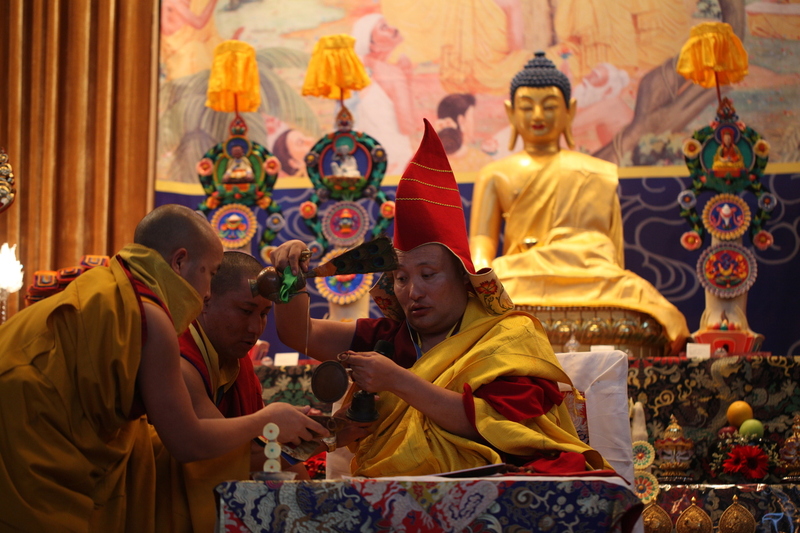 At 4pm, Rinpoche led the Akshobhya Purification Ritual. 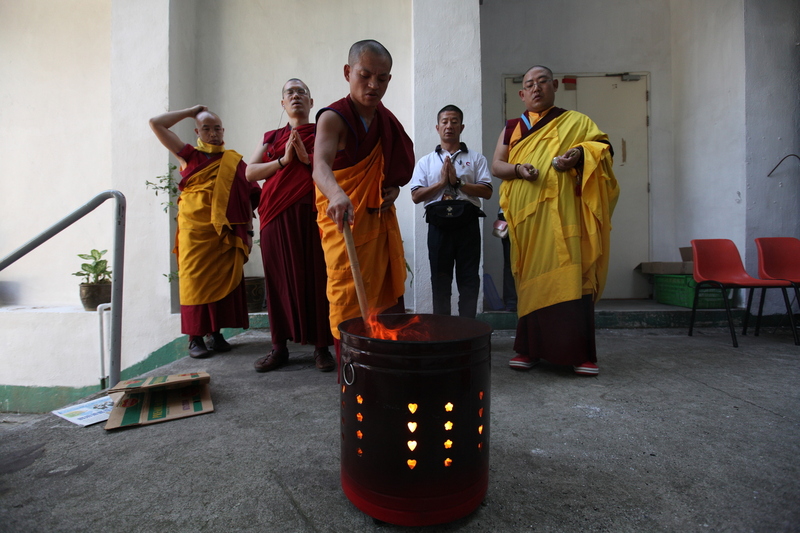 The Akshobhya ritual is a very powerful purification practice that benefits all sentient beings, including those who have passed away as well as those still living. 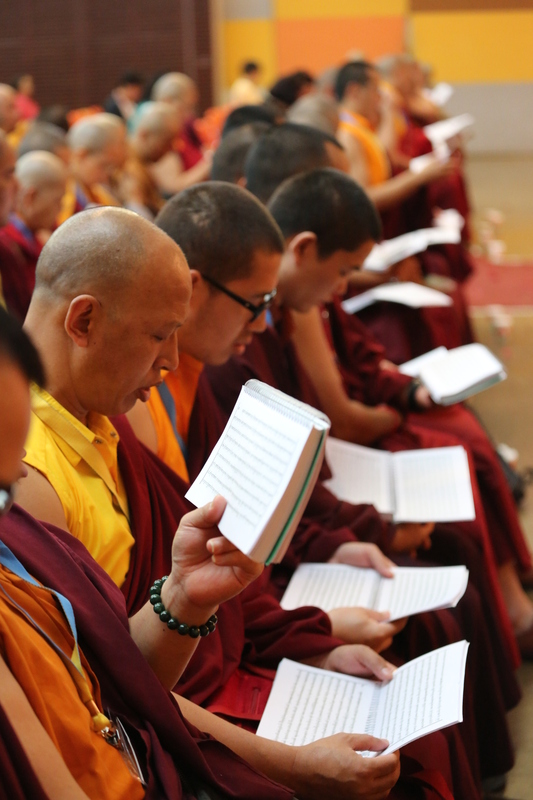 Merit was dedicated to freeing beings from sufferings in samsara and in the lower realms. 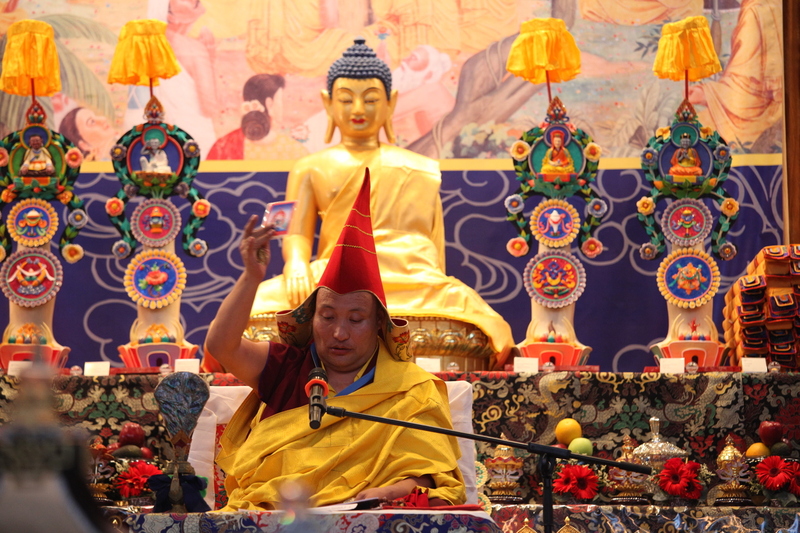 At 7:30pm, Je Dzhung Rinpoche continued to give teaching on Kings of Aspiration. 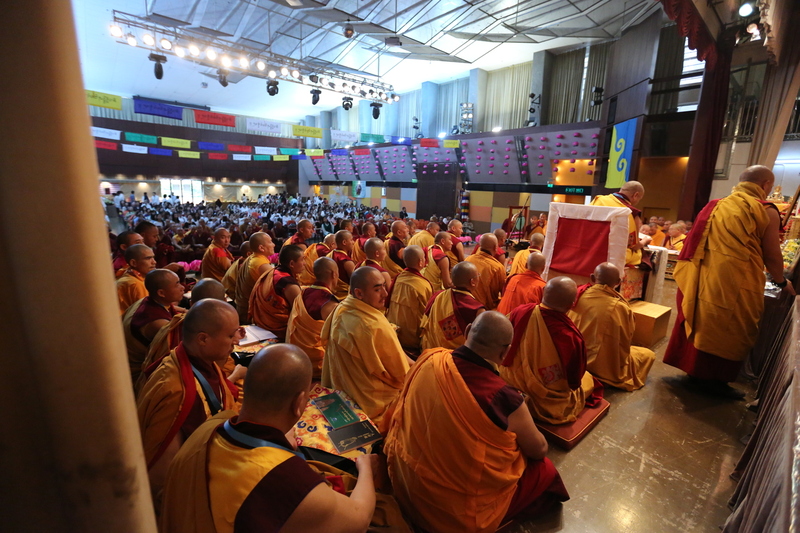 The second day was closed by dedicating the merits to world peace and harmony and all sentient beings. 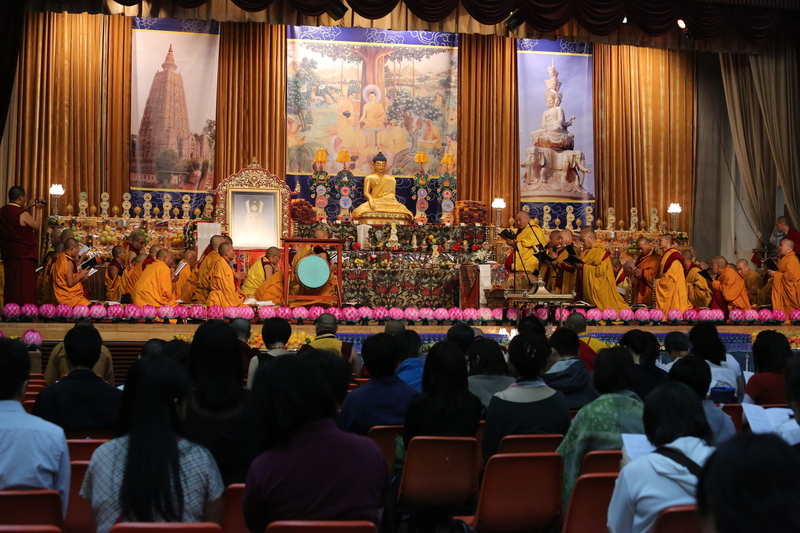 The morning session began at 9 am with Sojong vows and aspiration prayers. At around 2pm, Guru Yoga feast offering was performed and Tsok offerings were blessed and distributed to participants. 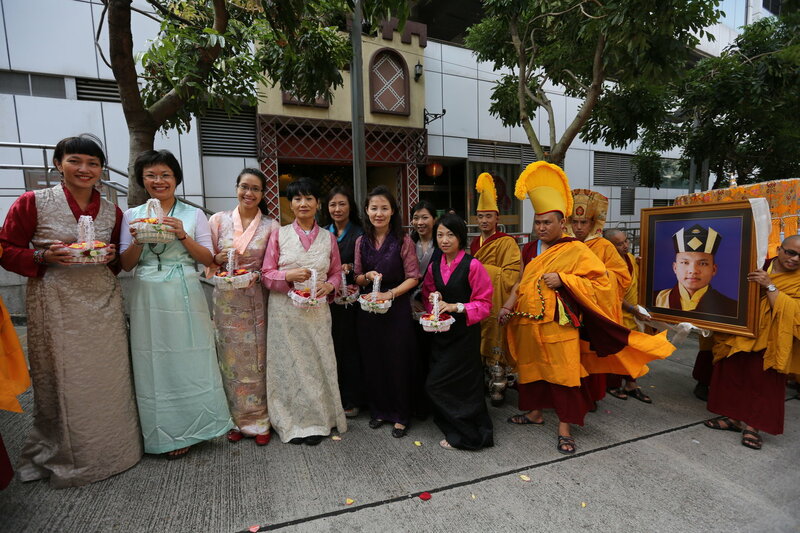 Only fruit was used for Tsok offerings to echo the environmental awareness theme and garbage-reducing campaign. Everyone was happy to receive a piece of beautiful fresh fruit and appreciated the “no plastic wrapping” concept. 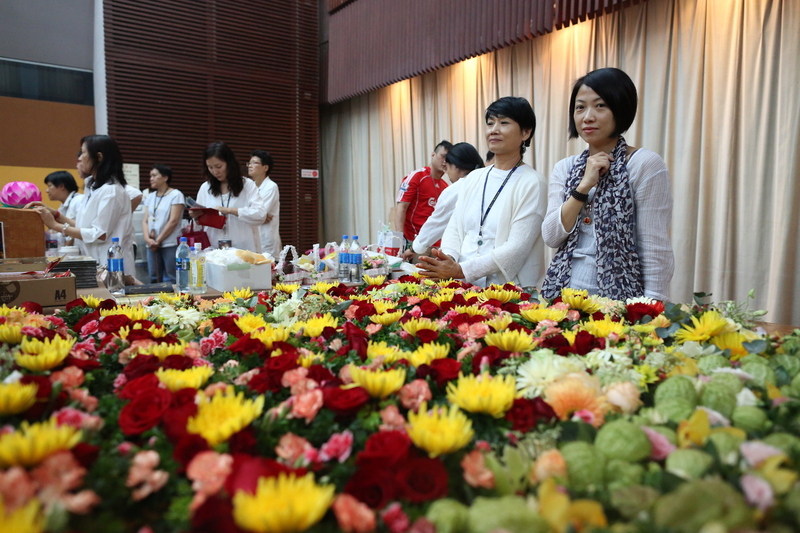 Devotees and Sangha members also made offerings to the assembly during the three days. 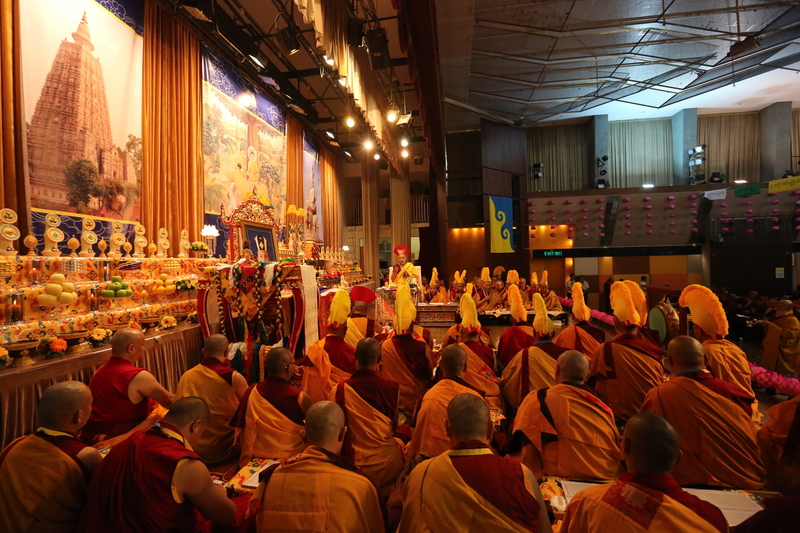 At 4pm, Hong Kong Kagyu Monlam held an appreciation ceremony for this year’s sponsors. 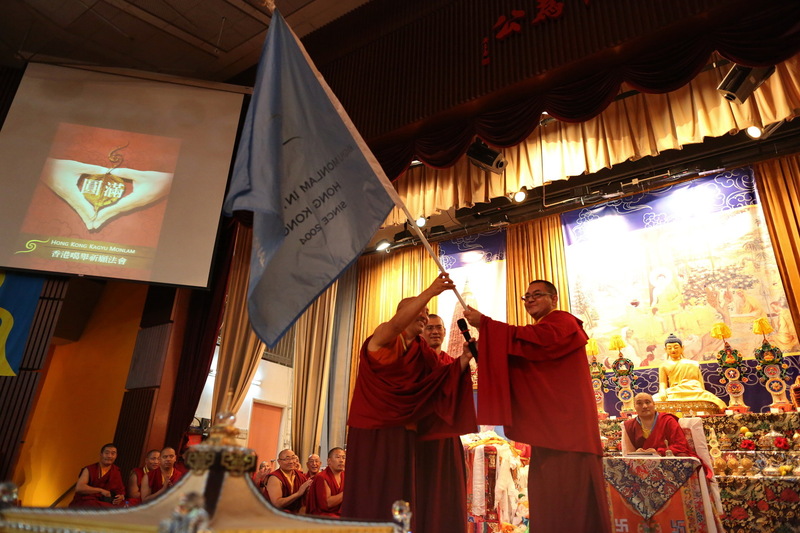 As a token of appreciation and gratitude, the sponsors were blessed by Rinpoche and offered precious souvenirs. 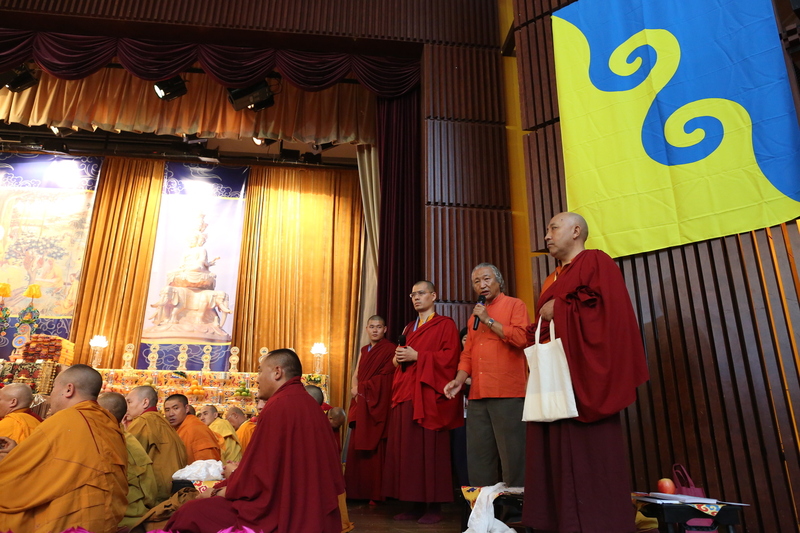 The International Kagyu Monlam Executive, Lama Karma Chodark, made a speech of appreciation to Rinpoches, sangha, sponsors, volunteers and all participants for their devotion and dedication to this annual event. Souvenirs were given to Rinpoches, Torma masters, Chanting masters and discipline master respectively. 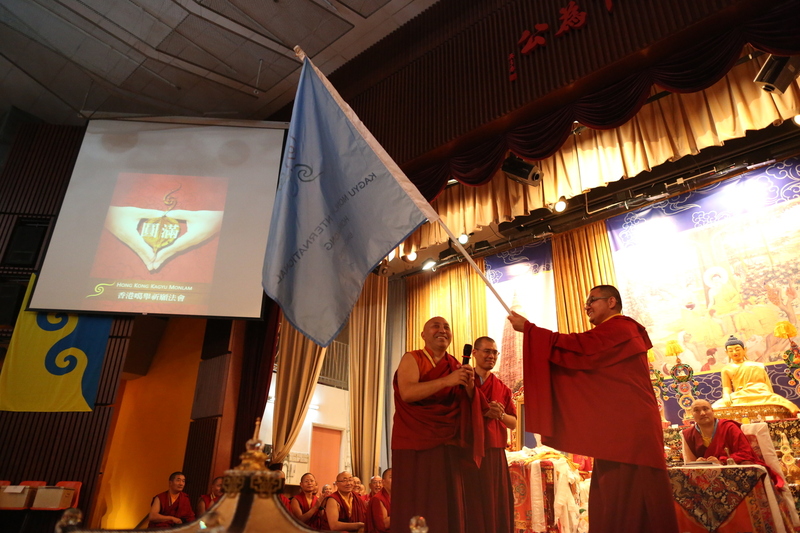 It was also announced that Bokar Mahakarunika Centre will be the co-organizer for the 9th Hong Kong Kagyu Monlam, which will be held on Sept 19th – 21st, 2013. 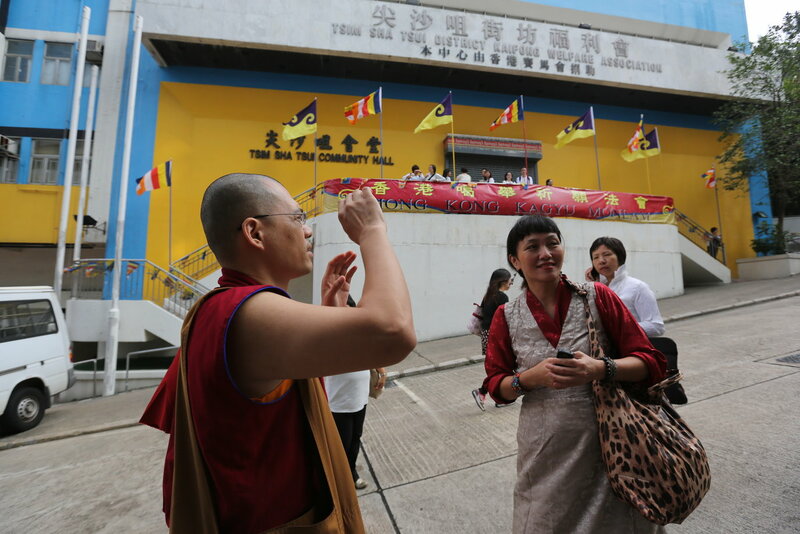 Lama Choedrak Tenpel, this year’s Hong Kong Kagyu Monlam co-organizer, also made a thank you speech to all participants for helping to make this Monlam a success. 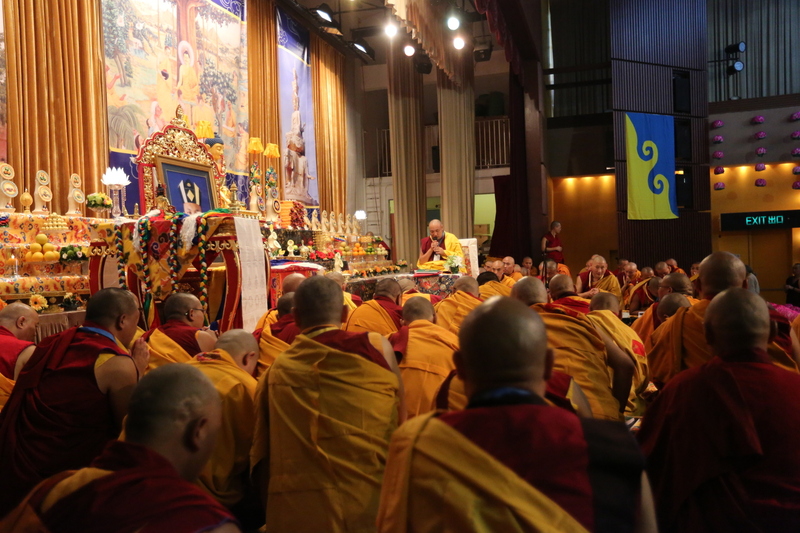 During the last session, His Eminenece Je Dzhung Rinpoche bestowed Akshobhya Empowerment. 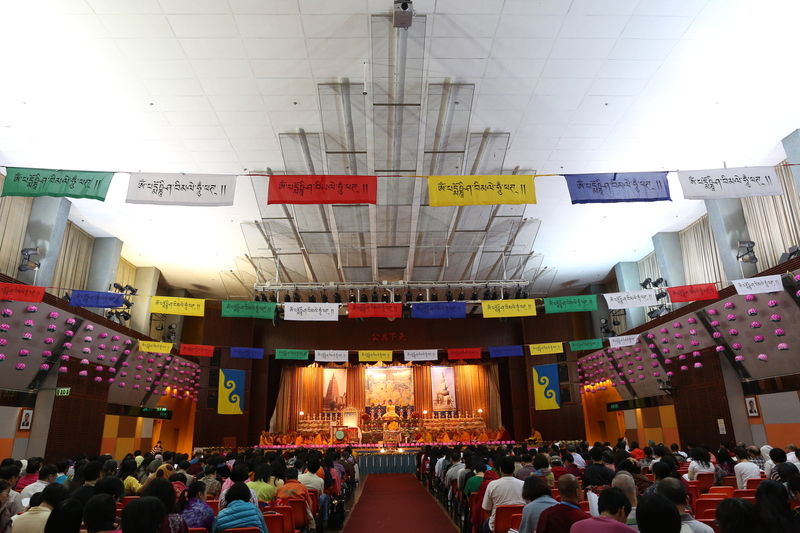 Over 800 disciples attended this session. 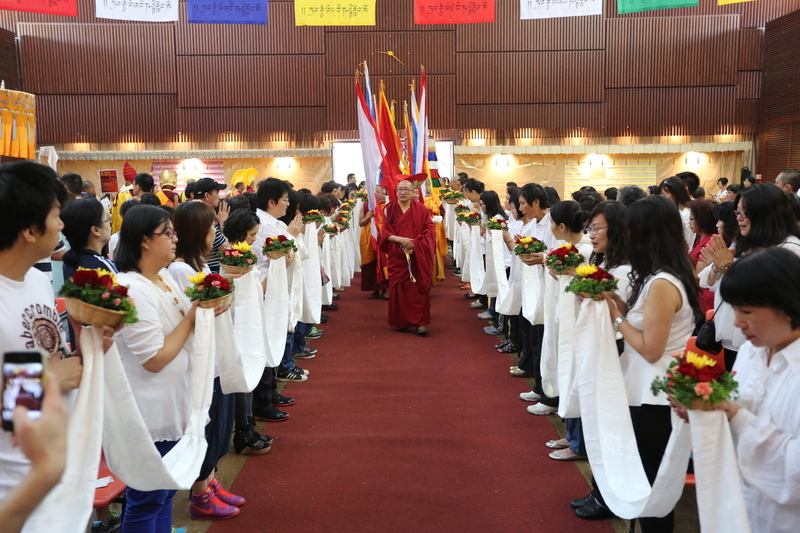 Tsok offering was given to each disciple after the empowerment was received. Then Marme Monlam began. 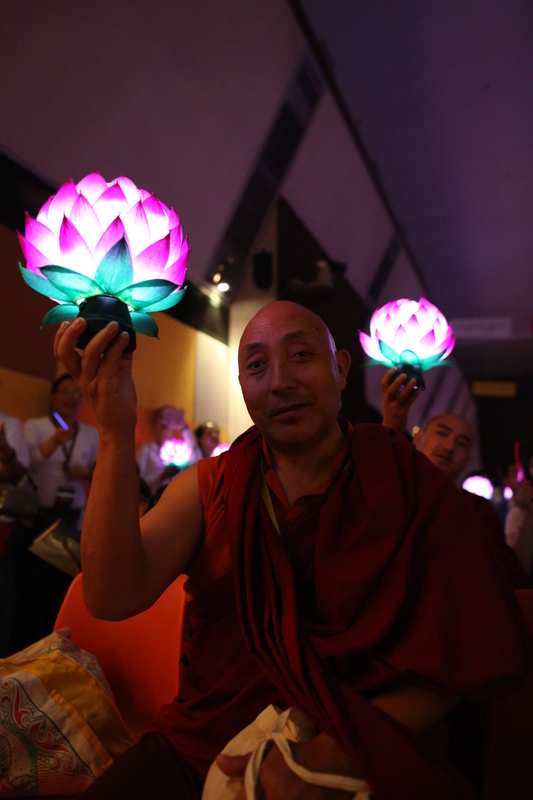 Volunteers distributed hand-made lotus lamps to Rinpoches and sangha for the lamp offering at Marme Monlam. Hall lights were off, and the beautiful and amazing moment came. 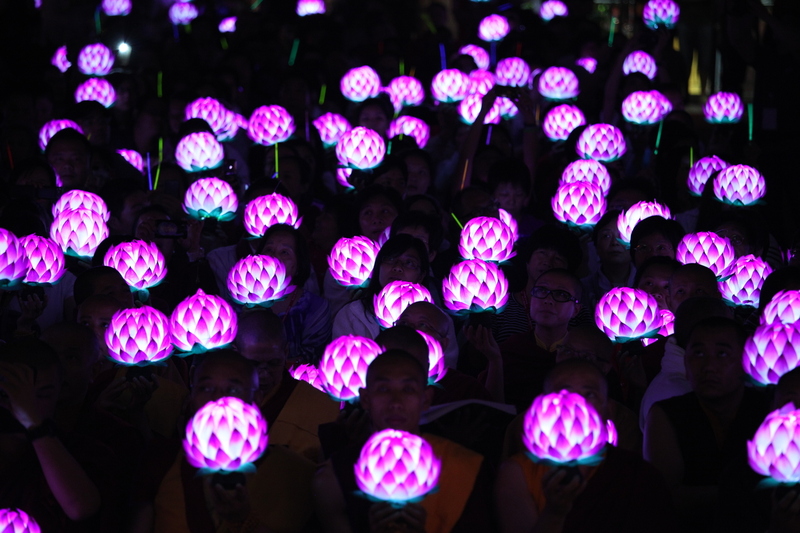 All participants then turned on the lotus lamps, and immediately the hall was filled with praising voices. It was such a mesmerizing scene just like a sea of illuminated lotus flowing in the entire hall. 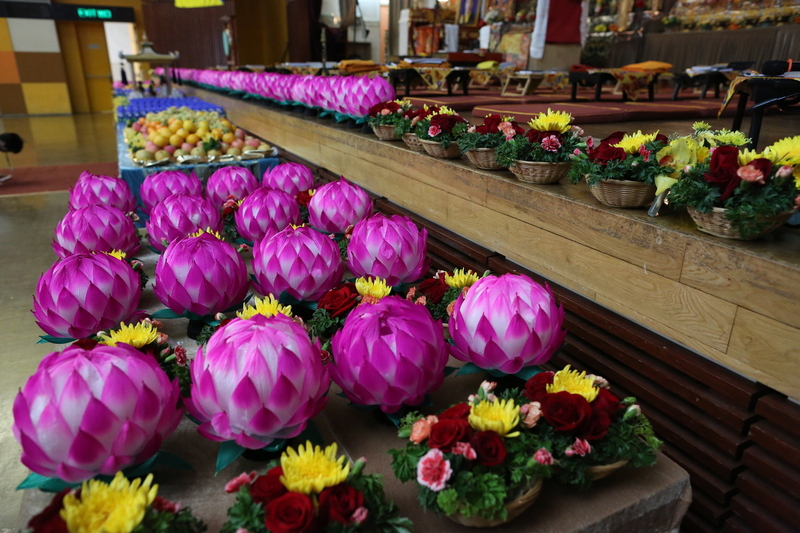 These lotus lamps were introduced to endorse this year’s environmental awareness theme – they are made to replace the traditional butter lamps or candles and to reduce the amount of garbage. Also, those who purchased this lamp can bring it home for family or friends and keep it for a long while. Everyone recited “The Lamp Prayer” composed by Atisha with bliss and joy. The Lamp Prayer was recited in Tibetan and Chinese sequentially. 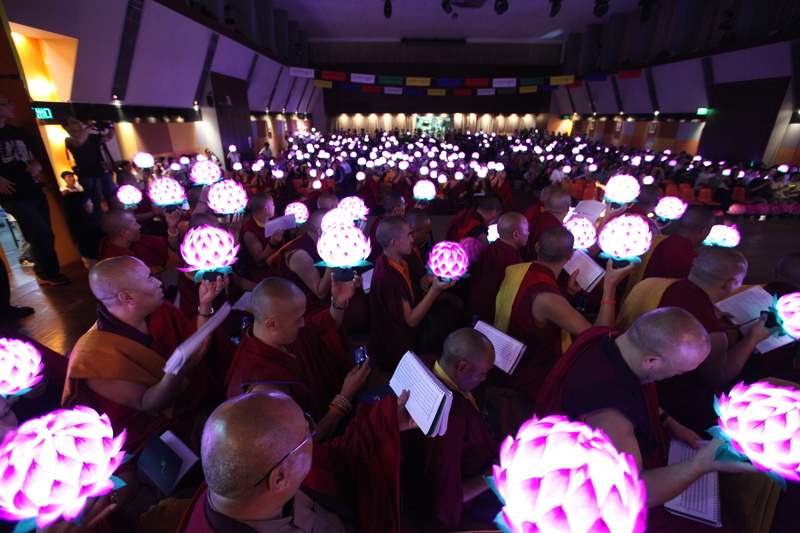 Holding the lamps with utmost sincerity, everyone dedicated the merit that have been accumulated and offered this towards the thriving of Buddha Dharma and World Peace. 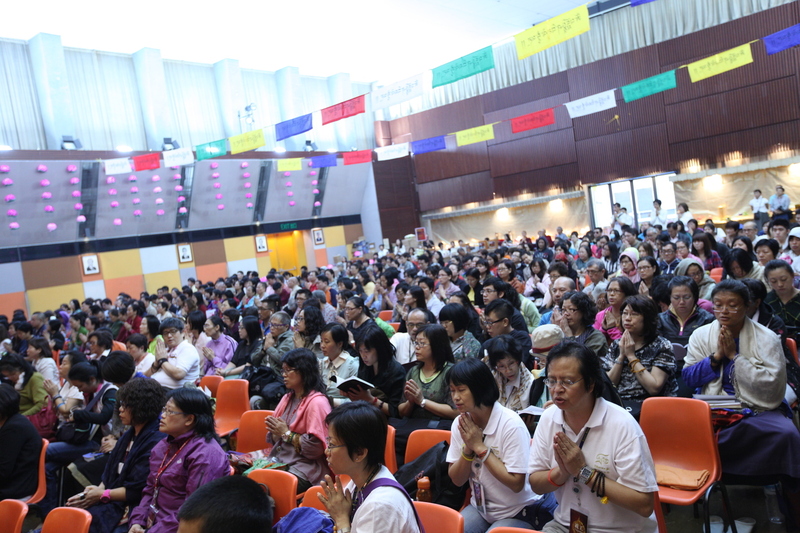 The festival stimulated harmony and happiness in all those who attended the 8th Hong Kong Kagyu Monlam. We would like to express our deepest appreciation to His Holiness the 17th Karmapa and all the lineage masters for their immeasurable blessing and kind guidance. 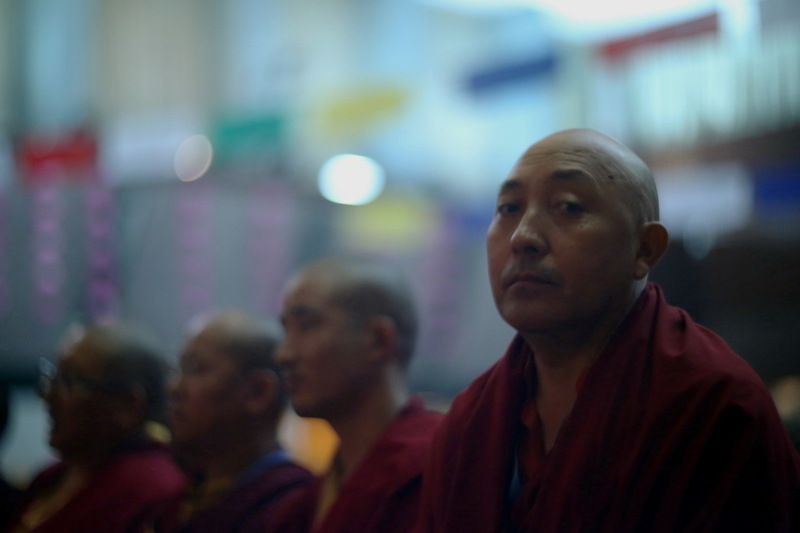 We earnestly believe that His Holiness helped us and that he was with us right from the beginning. Special thanks go to His Eminence Je Dzhung Rinpoche, Thekchok Rinpoche and Sonam Rinpoche for leading and attending the ceremony. 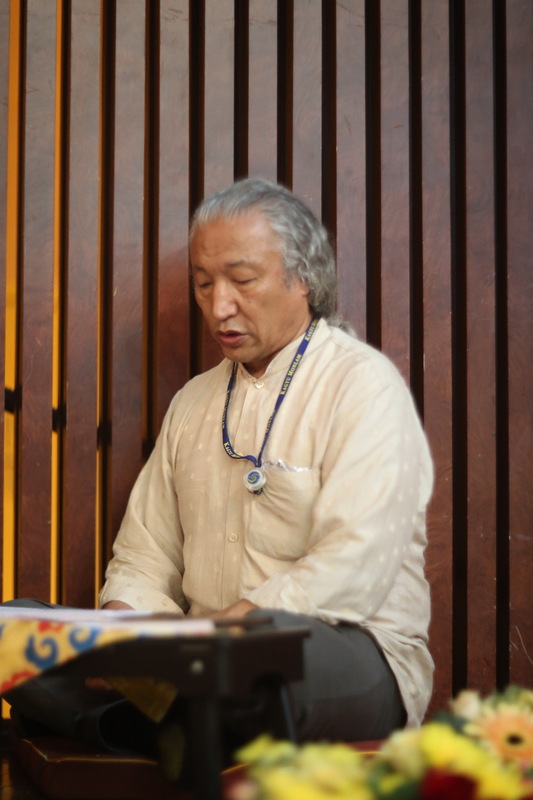 We would like to thank you Lama Chodrak, the executive officer of the International Kagyu Monlam Organization, who has given us valuable advice in planning and preparing this event. 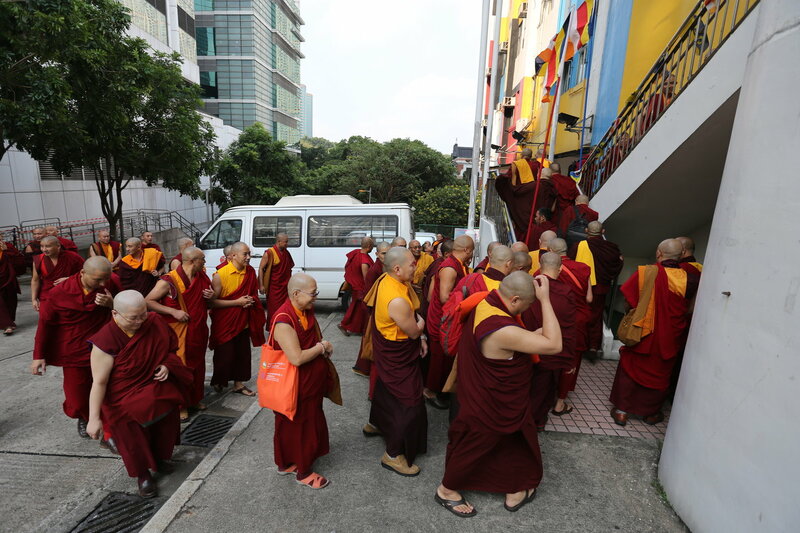 We would also like to thank the chanting masters, torma masters, translators, and all other Lamas and Sangha members who helped in this year’s Hong Kong Monlam. 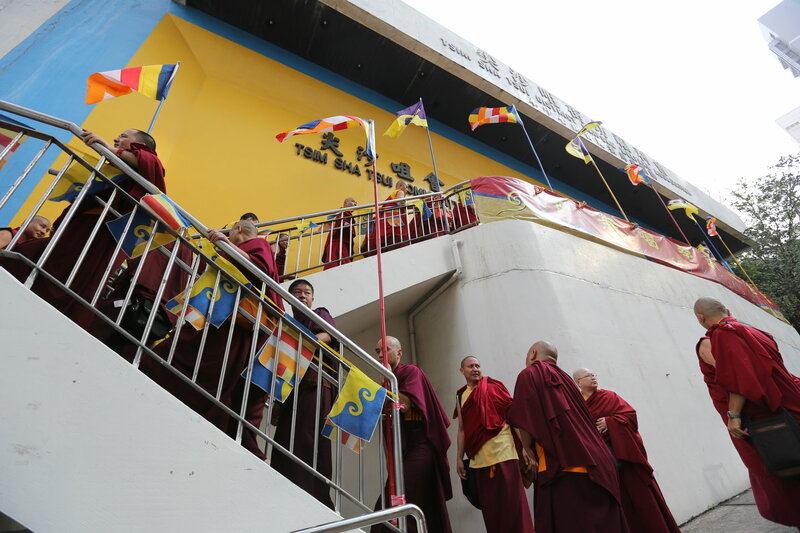 We would like to express our genuine gratitude to all the wonderful connections and conditions that we’ve accomplished to make Hong Kong Kagyu Monlam a successful one. To our great sponsors of this event, we would like to say a big “thank you” to you all. Lastly, a big round of applause to the participants who came from afar and to all the volunteers for their dedicated efforts in making this event a success. We need to help, love and depend on each other to live in this world and together we make this world a more wonderful and happy place to live in.